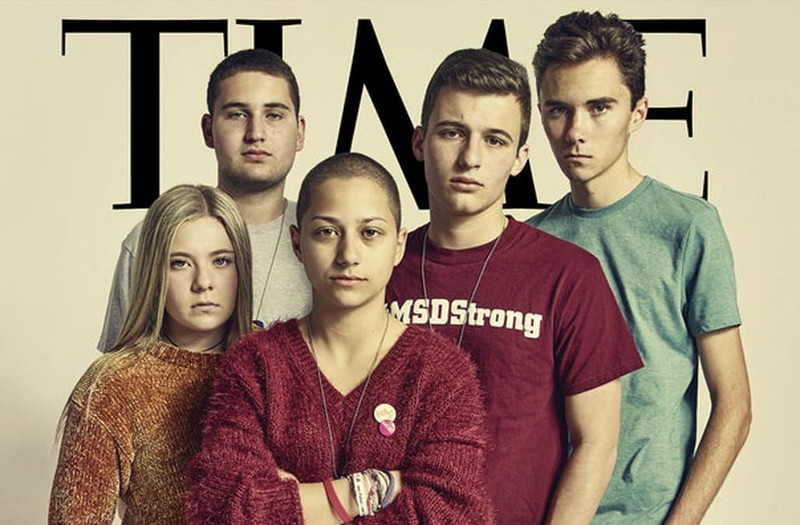 Time magazine’s new cover features survivors of February’s Marjory Stoneman Douglas High School mass shooting who organized this weekend’s March For Our Lives protests for stronger gun laws in Washington and other cities. 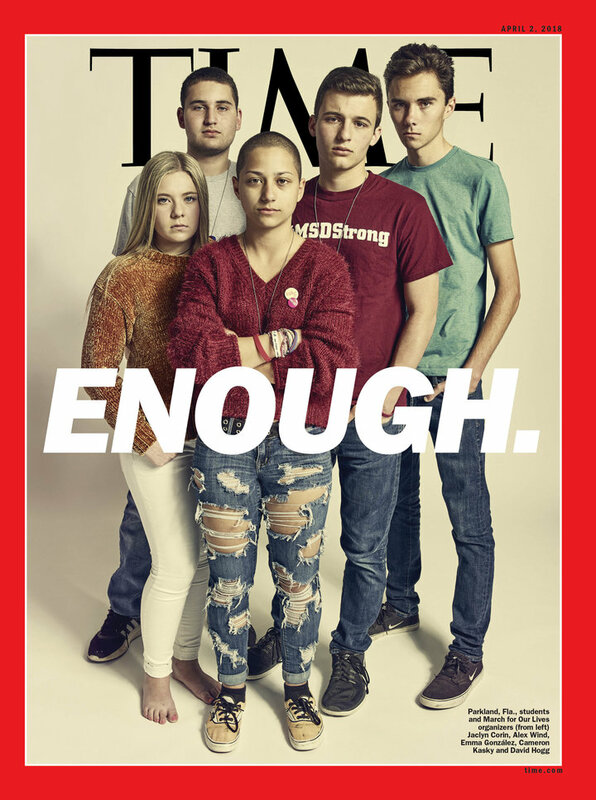 “Enough,” reads the headline, superimposed over the crossed arms of Parkland senior Emma González — now a recognizable face in the fight for gun control, thanks in part to an impassioned speech in the days after the shooting and her trademark buzz-cut hair. The cover also features her outspoken fellow students, Jaclyn Corin, Alex Wind, Cameron Kasky and David Hogg. The five students have publicly demanded that lawmakers make policy changes to keep schools safe since a gunman armed with an assault-style rifle attacked their South Florida high school Feb. 14. Last week, their efforts inspired students across the nation to walk out of their classrooms to protest gun violence. Students at many schools observed 17 minutes of silence to honor the 17 people who were killed in the Parkland shooting. Read Time’s cover story here.